As you unpack your sweaters and your favorite leather jacket from storage and prepare your wardrobe for fall, make sure to let your strands in on the fun. Transitioning into fall is as much about updating your regular rotation of go-to outfits as it is about changing up your hair styling routine. For many of us styling-obsessed women, hydration is a key goal for the coming season. 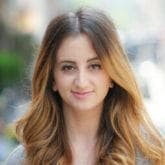 Learning how to hydrate your hair (on a budget) is a skill that will serve you for seasons to come. And this $5 drugstore leave-in conditioner will help you hydrate your hair just in time for fall for a very small price tag. Hydration starts in the shower. 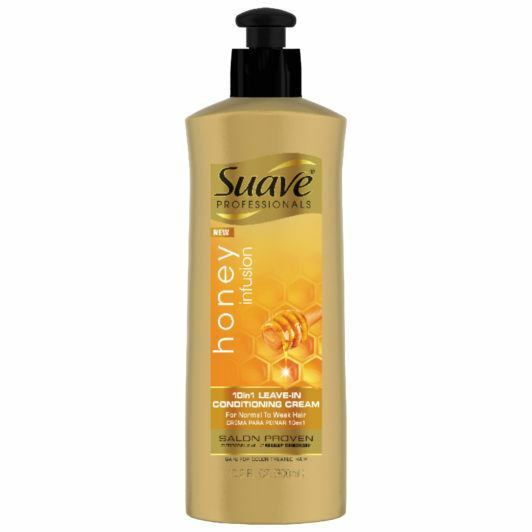 Suave Professionals Honey Infusion Strengthening Leave-In Conditioner is one of those holy grail drugstore hair products that performs just as well if not better than its higher end counterparts. Infused with pure honey, this rich blend of ingredients wraps each strand of hair in a protective layer and restores its strength. Ideal for women with rough hair who struggle with frizz, it can also tame flyaways and act as a heat protection method. If you’re not already sold on this leave-in conditioner, let us tell you from firsthand experience that our strands were more moisturized, shinier and easier to detangle after just a few uses. After a summer of sun exposure, salt water damage and hours spent in the chlorine, we could all use the magic of an inexpensive leave-in conditioner formulated to hydrate and restore. Simply wash and condition your hair with your wash and care system of choice and then run a quarter-sized about of this leave-in conditioner through the bottom three quarters of your strands. Indulge in your favorite body wash or attend to shaving your legs while the conditioner works its magic. Rinse your hair well and let it air-dry for the healthiest, shiniest locks of the season. Learn some quick and easy Ways to Hydrate Your Strands.